Following Amazon and Flipkart, Xiaomi too is kicking off its Independence Day Sale. The sale sees a price cut on all its products and the deal price is valid across mi.com, Flipkart and Amazon. The highlight of the sale is the Xiaomi Mi Mix 2 (review). The company's current flagship device in India is available for Rs 24,999, a Rs 5,000 discount from its usual price of Rs 29,999. The smartphones is one of the few near bezel-less smartphones in the market that does not feature a notch. The 5MP front camera is tucked away in the bottom chin. Another smartphone that is for sale is the Xiaomi Mi Max 2 (review). The smartphone sports a huge 6.44-inch Full HD with a traditional 16:9 display aspect ratio. However, it sports a huge 5300mAh battery. The phone is available for Rs 14,999 during the sale. 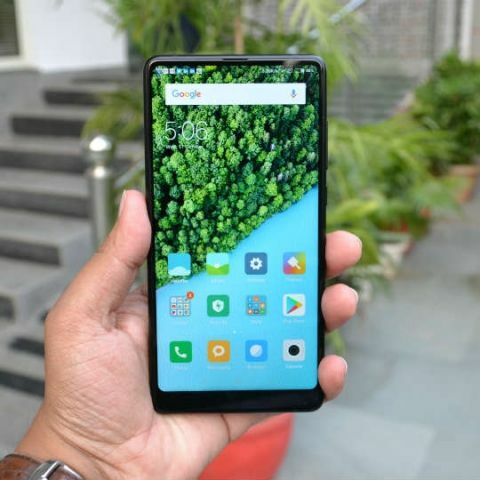 It should also be noted that Xiaomi has already unveiled the Mi Max 3 in China, and is expected to launch the smartphone in India over the coming months. If you’re a fitness enthusiast looking for a budget tracker, then you might want to consider the Xiaomi Mi Band 2. The tracker is available for Rs 1,599 during the sale instead of its usual price of Rs 1,799. Of course, it should be noted that Flipkart and Amazon are also holding their own Independence Day sales on their respective websites. If you’re a little confused with all the deals on offer, We at digit have been hard at work, collecting the best deals of the lot. If you’re looking for speakers then click here, and if you want a smart speaker, then check this out. If headphones are more your thing, click here. This link will show you some of the best smartphone deals, while this one should interest those looking for a new TV.